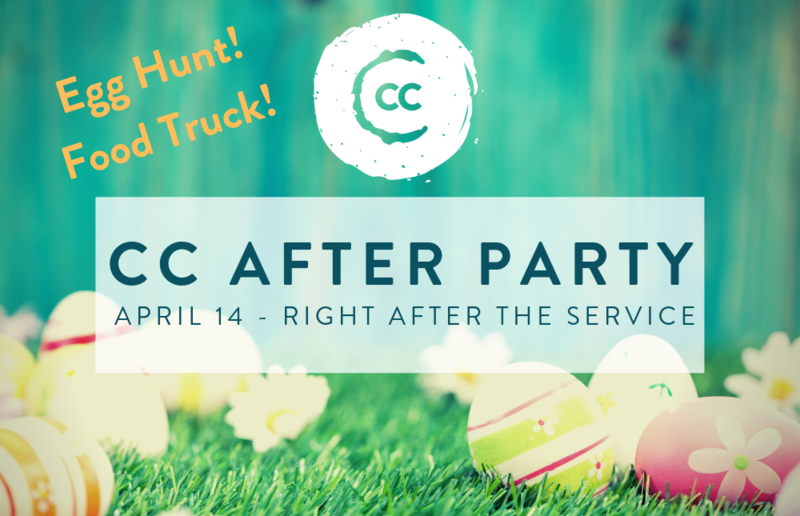 Gather with us for some food and fun at the Palm Sunday CC After Party. Bring your own lunch or grab something delicious from the Walt Garrison's BBQ Food Truck. Kids ages toddler through 5th grade can participate in the egg hunt, with staggered times and age groups. We'll have tables set up inside or you can bring your lawn chair so you have a front row seat to the Egg Hunt!